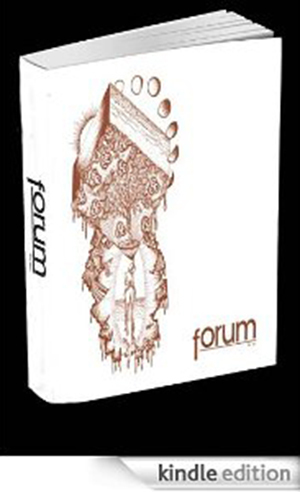 Forum Magazine Presents…Fiction and Poetry from CCSF at Lit Crawl 2013. For the first time ever, Forum Magazine will have a presence at Lit Crawl! Our readings will take place at the Latin American Club (3286 22nd St.) from 6pm to 7pm, and feature artists from our Fall 2012 and Spring 2013 issues including Charlotte Hull, Real Lapalme, Seth Luther, Natalie Saunders, John Silverman, and Jerome Steegmans. If you don’t already know about it, Lit Crawl is a citywide event during which venues such as art galleries, bars, bookstores, bowling alleys, cafes, community spaces, restaurants, stores, and even police stations host simultaneous live readings around the city in just over three hours. In some cases, artists can show up to read their fiction, non-fiction, poetry, and more at these venues to live audiences from their areas. (Hint: Look for the ‘Open Mic’ listings!) So whether you’re an artist, a connoisseur of art, or both you can get something out of it. Each and every event is free, though they will be accepting donations and every little bit helps! For more information, please follow the above link. We hope to see you there!